Bush tea, frequent prayer and living harmoniously with others is the secret to a long, happy life. 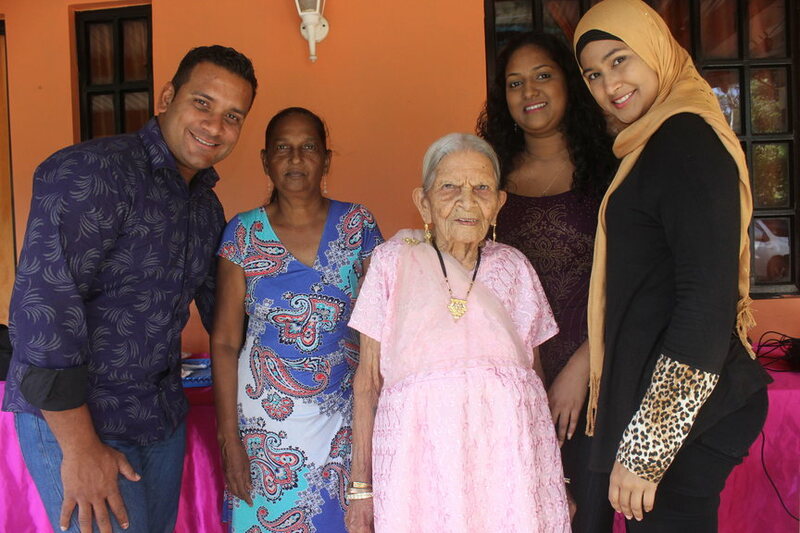 So says Marabella resident Phooljaria Rampersad, who celebrated her 102nd birthday two days ago. In a recent interview with Fazeer Rojan of FuzzE Entertainment, Rampersad, fondly referred to by residents as Mama, reminisced on her golden days, but said she has been living her best life. Energetic, with a surprisingly strong voice, Mama has her memory and senses perfectly intact, has no need for eye glasses and gets around on her own with no assistance. She was born November 27, 1916 in the Barracks of Hermitage Village, San Fernando where she was raised by her father after her mother died just a year and a half later. She moved to Hassanali Trace, Barrackpore at the age of five where she was cared for by her maternal grandparents. Just five years later, she was wedded to an individual from her birth village, Hermitage but that marriage did not last. 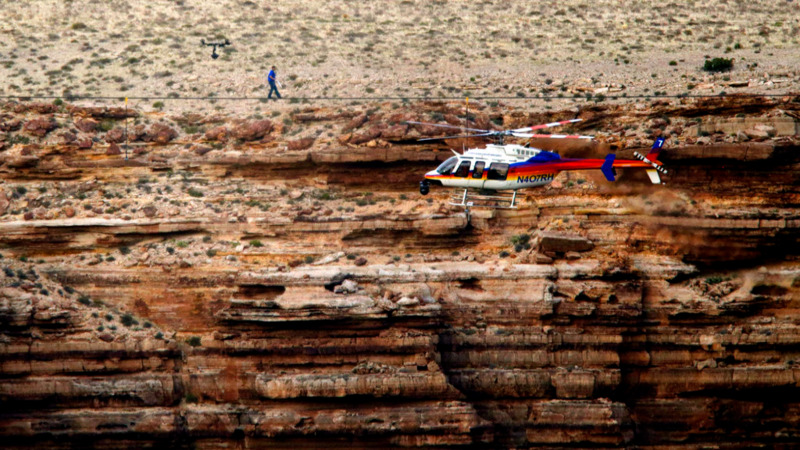 She returned to her grandparents’ home around age 10. She married Bachoo Rampersad from Marabella four years later and began her family of five boys and four girls. Sadly, Bachoo passed away in 1974. After the passing of her husband, with whom she shared 41 years of marriage, she said she changed her perspective on life and led a more independent lifestyle, always ensuring that her family was her priority – no matter the sacrifice that had to be made. She never allowed being a single parent prevent her from providing for her family, nor did it prevent her from giving back to her community. 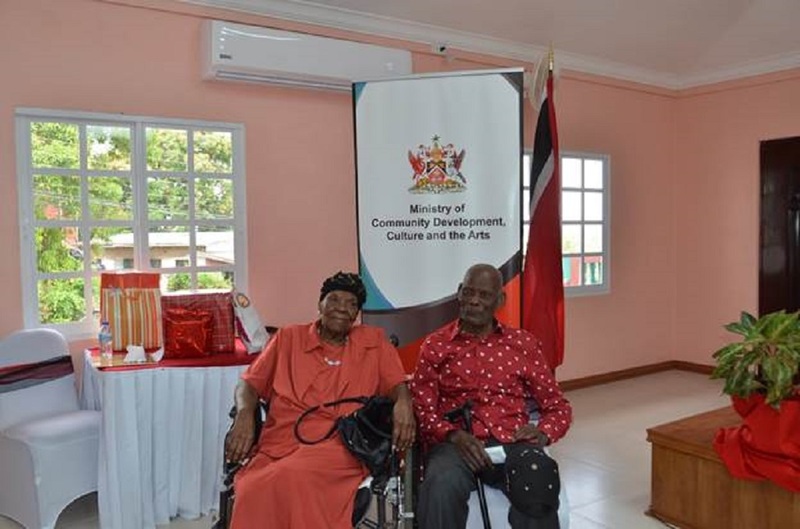 A hard worker, the centenarian planted rice, sugar cane, and worked as a labourer at Harmony Hall and also in the construction of the neighbouring Texaco Oil Company, now named Petrotrin. At one point, Mama even owned a Roti Shop. She worked numerous jobs and sold at possibly every market in Trinidad Sangre Grande, Arima, Point Fortin, Port of Spain, San Fernando, Penal, Fyzabad before finally settling at the Marabella market. Mama put her hands to good use, also working as a seamstress and decorator. Eventually, she purchased the parcel of land at Mt. Camel Street where the family now resides. She now boasts of her wonderful family of nine children, 29 grandchildren, 33 great grand children, 11 great great grandchildren, five great great great grandchildren and one great great great great grandchild. Despite the hard work, Mama said she misses the lower costs of goods “back in the day” and the greater sense of security citizens felt. 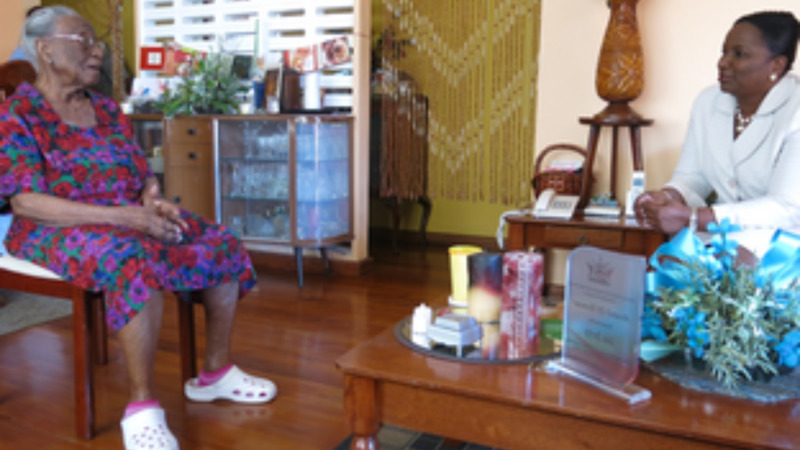 The centenarian is quite the globetrotter, having visited 12 countries in her lifetime. “I went to Canada, America, Panama, Aruba…all over,” she chuckled, joking that she has two passports filled with immigration stamps. While she does not follow a strict diet she said she drinks bush tea and stays away from red meat and Chinese food, and consumes fish and chicken. Singing and dancing at weddings were her specialty and even now, she gives a little dance to her favourite songs. Mama, who maintains a very good relationship with her neighbours, stressed the importance of kindness to one another. Asked what guidance she would give to the youth, she smiled and shared these simple words of advice for the younger generation.